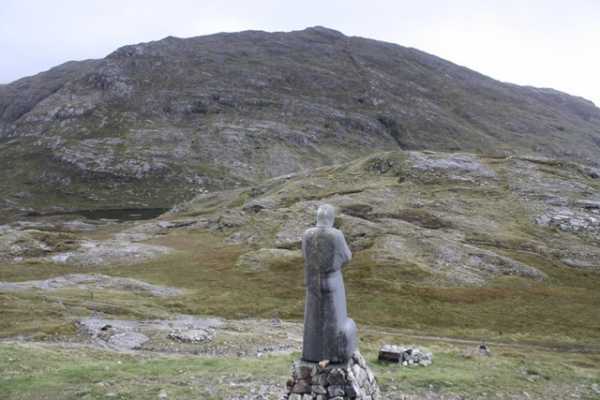 Binn Mhòr sits high above the mountain pass named Maumeen, where there is a Chapel and Holy Well. 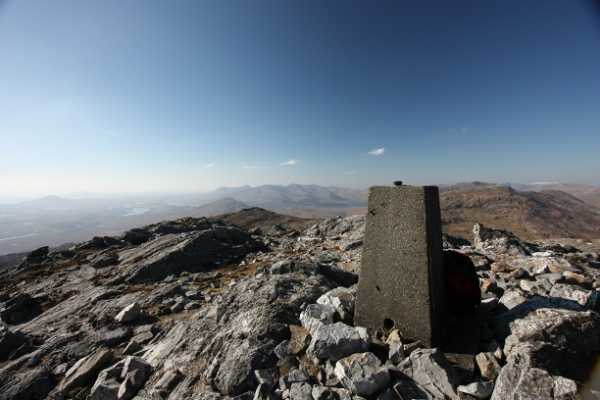 It is the last mountain on the first stage of the traditional Maamturks walk if approaching from the south. 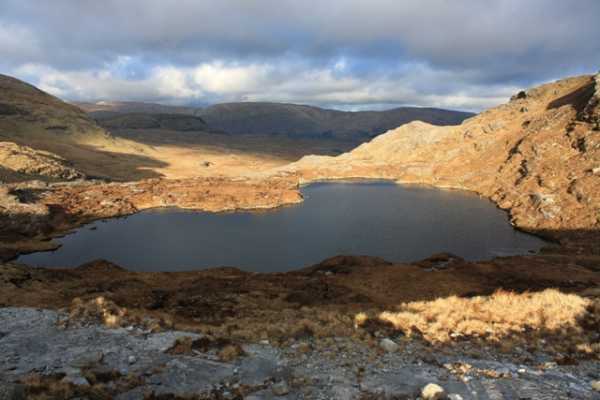 This involves first tackling Corcogemore and Mullach Glas. 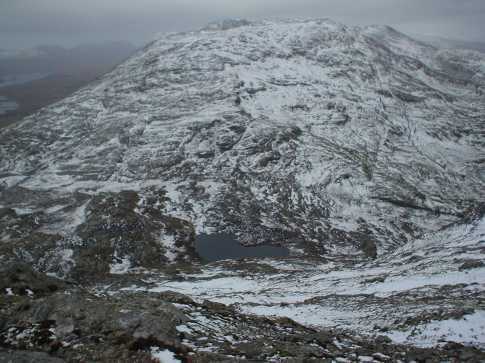 Binn Mhòr can be climbed on its own with a steep 400 metre climb up from Maumeen. 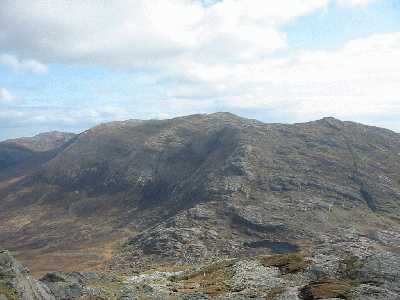 There are severe cliffs along Binn Mhòr’s northern face, but the climb from Maumeen avoids these. 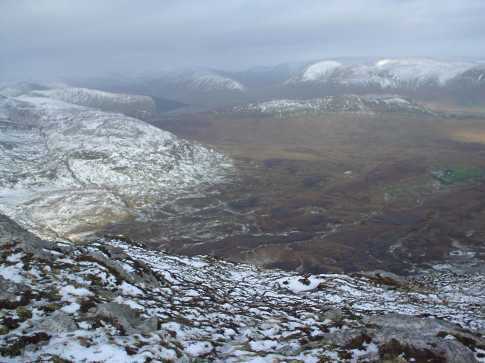 The upper few hundred metres of Binn Mhòr are pure quartzite, so good footwear is needed to walk on the fields of shattered stone and follow the sandy trails carved out by countless boots.